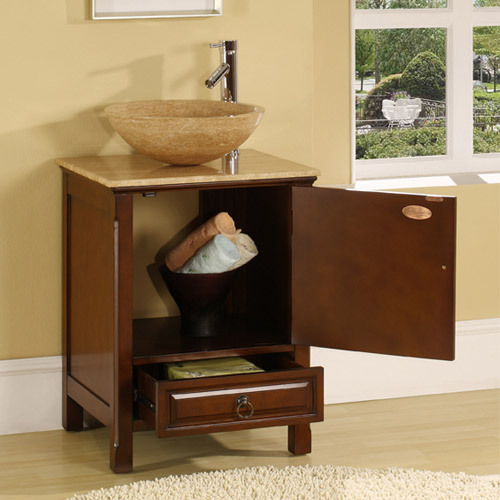 The Corciano Vessel Sink Vanity is a charming transitional vanity that will add style to any small bathroom. 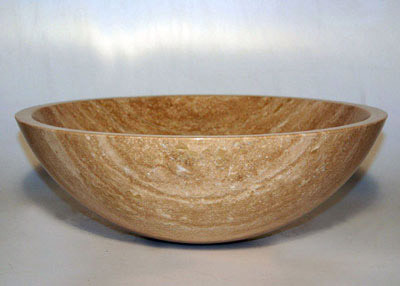 The counter top is Roman Vein-cut Travertine with an optional Travertine vessel sink. The cabinet is hand crafted and hand painted to give you a unique vanity. For storage, it features a single door cabinet and a drawer. 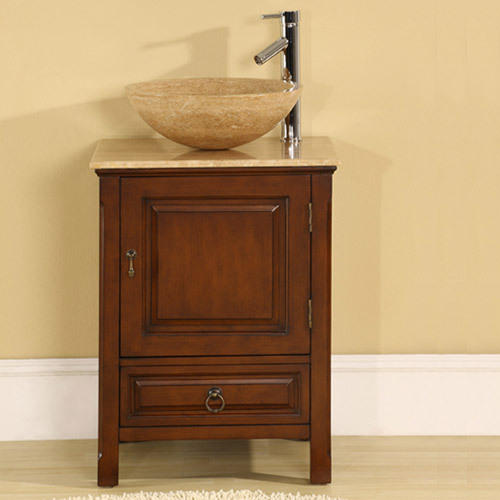 This vanity is also available without the matching vessel sink.